Hello, friends! I’m popping in today to show you my latest project. 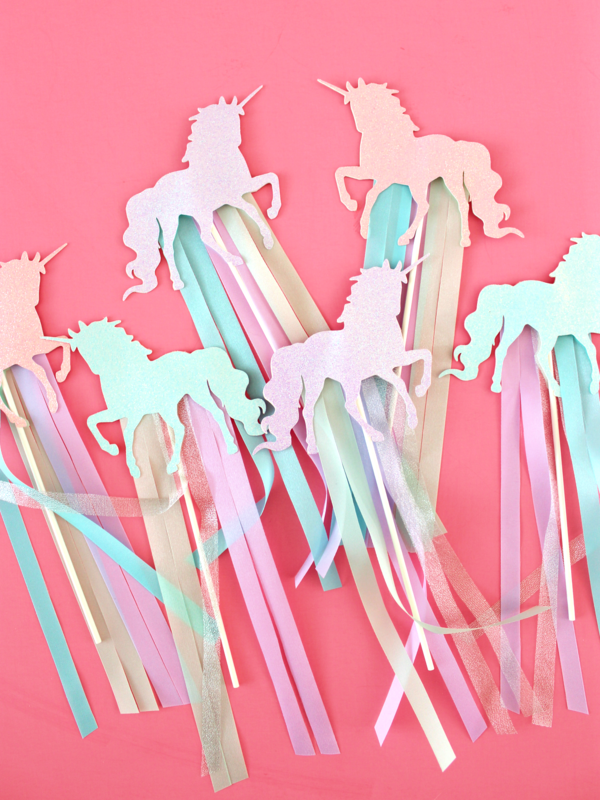 I’ve been working on these magical unicorn wands for loot bag gifts for my daughter’s upcoming birthday party. 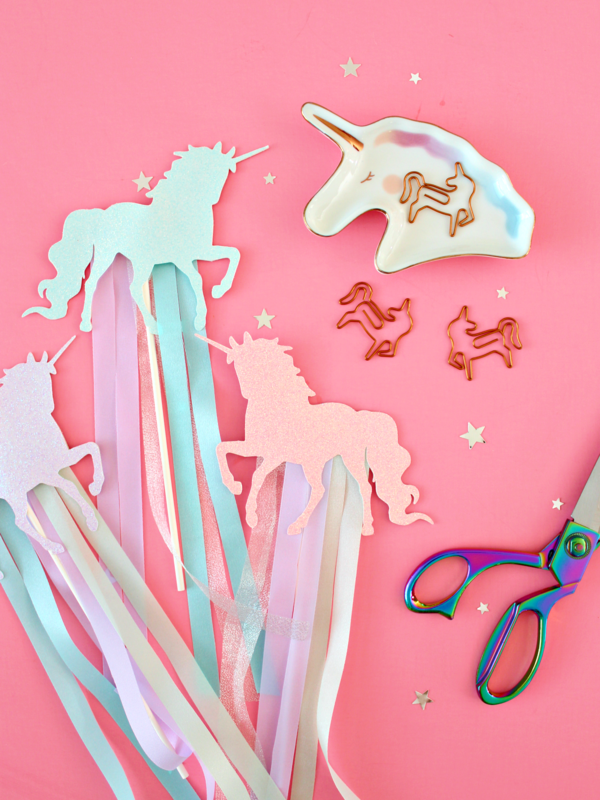 When she asked me for a unicorn theme, right away I had this idea for these wands. 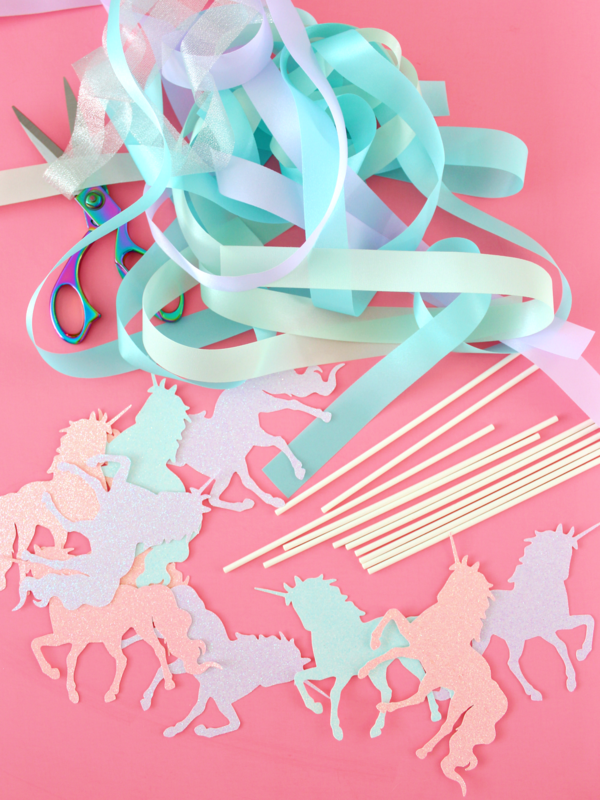 Then I got lucky when I went to Michaels and they had a bunch of the Celebrate It pre-cut ribbons on clearance in exactly the unicorn colours I had in mind! 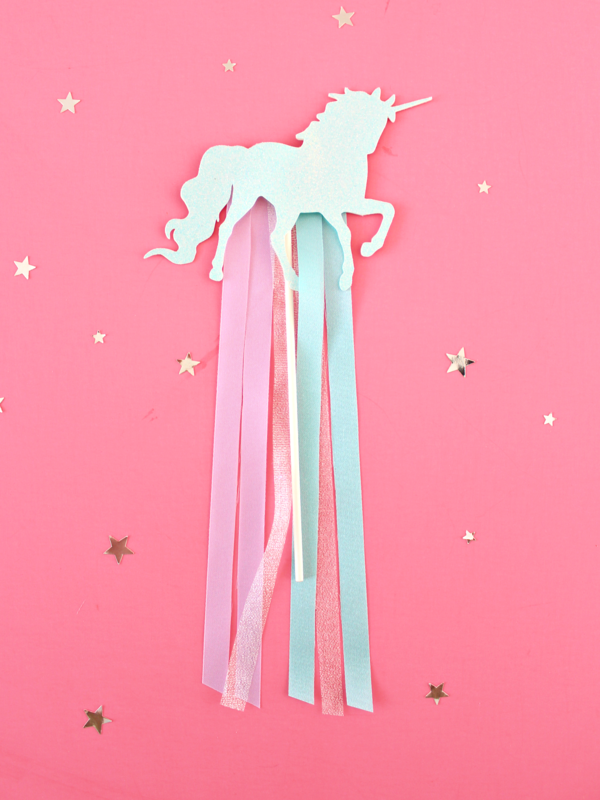 The wands measure about 12″ in length and are double-sided (plus the unicorn is a different colour on either side). I made the shapes with my Silhouette on a heavy duty glitter card stock. The ribbon is 100% polyester, but I mixed in some shimmery ribbon for a little extra twinkle. 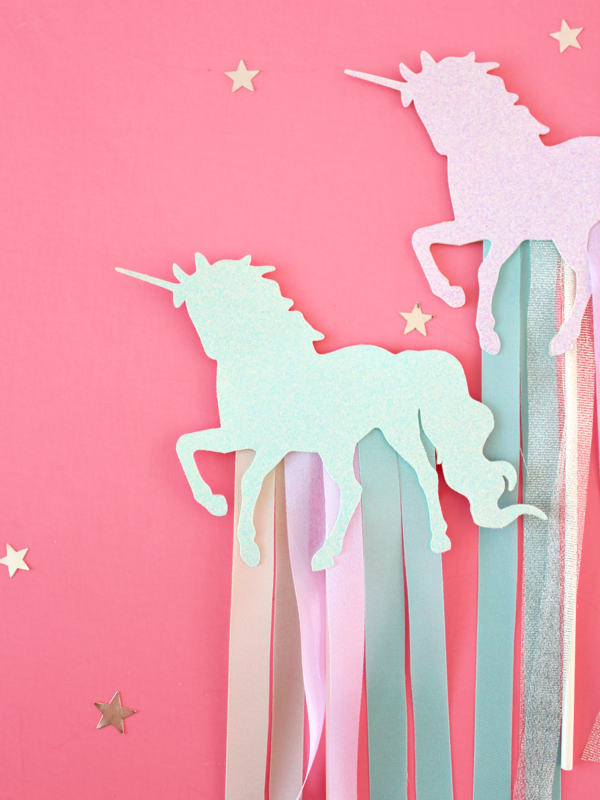 If you’d like to see these wands at your party, I’d be happy to make them for you! Visit the shop page for more information, or feel free to contact me anytime with your custom order needs. I still have lots to do and a piñata to stuff, but the party is still a few weeks away. I hope you’ve all had a great week so far, friends. Thanks for taking a look today, and as always, happy crafting!